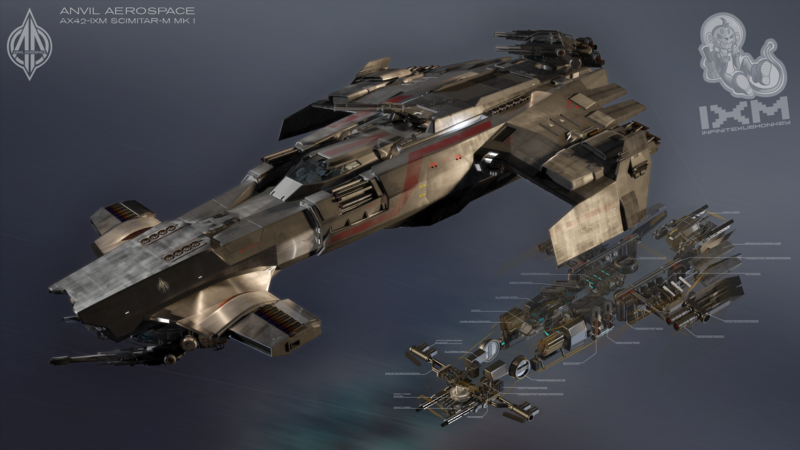 Discussion in 'Star Citizen Public Discussion' started by Hyncharas, 23 May 2014. So this week is the first of two semi-final events, to determine what the final three ships (the third to be "saved" by the community after next week's episode) in the contest are going to become the Next Great Starship. Tonight is Four Horsemen, TALLON Corp. and Shimapan. I have had a few conversations about this with some peeps on Teamspeak and I know me and Zib are firmly in the 3 Dingo court now that we have seen their interior work. While I think the 4 horsemen's ship is cool looking, it does not invoke a Gunship feel, more of a heavy fighter feel, I want something that looks brutal and will make the enemy shat themselves when they see it coming in for landing/strafing run. I love IXM! 3 Dingo... Love the interior, but I wish they would calm down the exterior a bit. As long as that flying monstrosity with hair straighteners for engines doesn't win, I'm good. Not a fan of the team parings for these votes. This weeks seems weak and next week has the stronger contenders together. Based on these 3 (Four Horsemen, TALLON Corp. and Shimapan) Four Horsemen will likely win. Four Horsemen will likely win. My prediction is IXM will win the overall contest. guess i am one of the only few favoring tallon corp? Only for lack of time lately, I haven't been keeping up on TNGS. I like the Shadow Mantis design. Called it Four Horsemen advances. That was the one with hair straighteners for engines right? I've thought for some time that Four Horsemen, Shard and 3Dingo (in that order ) are the best of the best. I also kinda figured TALLON would blow it; no matter how interesting the ship looked and felt, it seemed clear the guy had a real problem following instructions as to what the Devs wanted. So something damn peculiar happened during today's WMH - Shard Collective's ship was shown, IXM's ship was shown... 3Dingo's ship was NOT shown. Whilst there is no word from the team on whether they will be in Friday's episode, the finalists thread still list them as being in the contest. On the other hand, it is possible the Devs have pre-selected them as the 3rd Place entry due to special circumstances. There still remains the possibility that fans will vote to save their ship for the 3rd Place slot. Being completely selfless, I have also expressed my opinion to CR in a private message that; should 3Dingo be chosen, all three ships should be put in the game despite the fact only one was planned, given they are for separate manufacturers. So shard collective vs four horsemen. And I will say I am voting for shard. Their ship just seems like a beast.